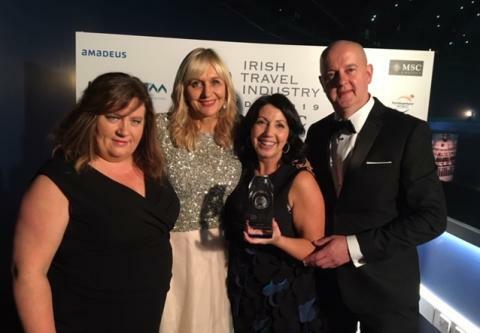 CWT, the global travel management company, was awarded the prize for “Best ITAA Corporate Travel Agency” at the Irish Travel Awards last night, which took place in Dublin on 24 January. The Irish Travel Industry Awards,now in their ninth-year, are the premier award for suppliers, travel professionals, and providers in Ireland, and are an initiative of the Irish Travel Agents Association. The awards showcase excellence in the delivery of international travel services for both leisure and business customers travelling from Ireland.